Doctors previously thought that the genetic damage it caused was limited to the lungs. In the study, researchers looked for the overexpression of a cytokine called interleukin 13 (IL-13), which is known to mediate inflammation, a critical problem for people with asthma. 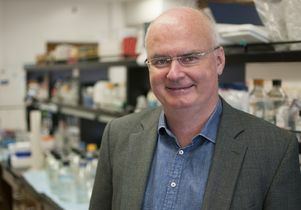 The study, which was conducted in an animal model that mimicked human asthma, was the first to assess the role of IL-13 in genetic damage to cells, or genotoxicity, said its senior author, Robert Schiestl, a professor of pathology and radiation oncology at the David Geffen School of Medicine at UCLA. The findings were published today in the peer-reviewed journal Mutation Research/Fundamental and Molecular Mechanisms of Mutagenesis. Single and double DNA strand breaks. Schiestl said all four effects causes the chromosomes to become unstable, which could result in a variety of other diseases. Schiestl and his team will next attempt to use chemicals that help repair the DNA of damaged cells. Their goal is to determine whether doing so can make asthma less damaging by reducing genetic instability in the peripheral blood supply. Asthma, a chronic disease that inflames and narrows the airways of the lungs, affects more than 150 million individuals worldwide. It causes recurring periods of wheezing, chest tightness, shortness of breath and coughing, and the symptoms can worsen at any time, making breathing difficult. There is no cure. Asthma affects people of all ages, but it most often starts during childhood. More than 25 million Americans are known to have the disease, including about 7 million children. There are two types of asthma, allergic and non-allergic asthma, which account for 70 and 30 percent of cases respectively. Non-allergic asthmatics experience more severe and more frequent symptoms. The study was funded by the National Institute for Allergy and Infectious Disease (NIH R56A1094756-0).